▶ SoldThis listing was sold on Oct 11, 2017 for the price shown here. STUNNING, Professionally Remodeled 2 Story with open floor plan and over 4800 sq ft of living space! 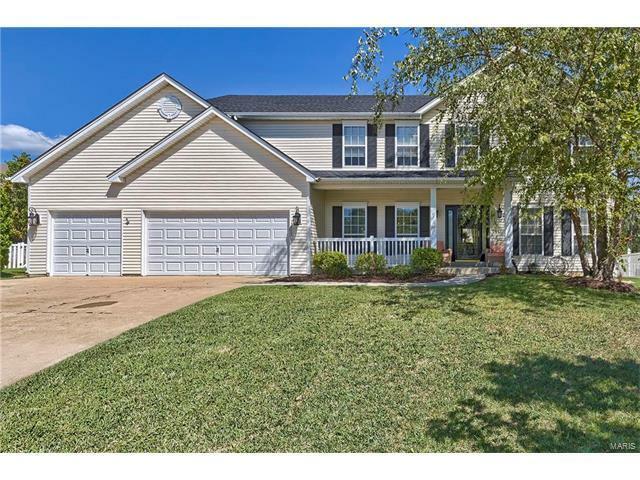 This gorgeous home features all new wood looking floors, kitchen cabinets, granite counter tops, freshly painted throughout, new carpeting on 2nd story. Newly raised coffered ceilings in dining room, built in speaker system, all new light fixtures, oil rubbed bronze door handles and faucets throughout, crown molding and 6" decorative baseboards. The master bedroom suite boasts vaulted ceiling, a DREAM walk in closet with custom built in organizers including pull out drawers, shoe racks and more! There are 3 more spacious bedroom all with walk in closets! This immaculate property has zoned heating and cooling, fenced level yard with sprinkler system and large paver patio, great room with 5 window bay, 2nd floor loft with built in book cases, recreation space in the finished lower level with wet bar and fireplace. New garage openers & more! There is nothing left to do but MOVE IN!